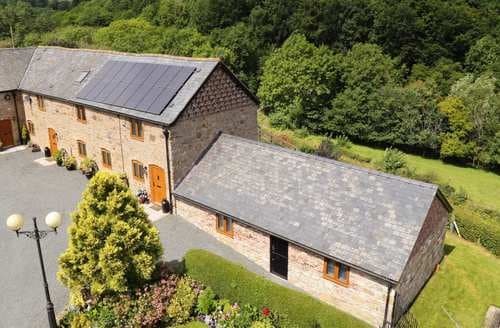 What our customers are saying about our Holiday Cottages In Weston Rhyn To Rent. "1. We had a text from the owner before we left home giving clear directions to the site.2. Nice to have a hot tub outside the lodge and access to a swimming pool.3. Good privacy including while in hot tub.4. Bed was comfortable 5. location was good, walking trail nearby that takes you under Chirk aquaduct and the surrounding area was a lovely view. 6. a few minutes drive from Chirk which had good shops and cafe's etc. (Castle bistro in Chirk definitely recommended)7. had use of a table tennis room and squash court. didn't bother with the gym. Bad point:1. Of 13 lights in the whole lodge 5 didn't work2. Cracked tiles on the floor in main bathroom covered with black carpet tape3. Spider webs in most rooms4. The driveway to get there after you find it is rather bumpy and probably more suitable to a 4x4. wouldn't take a lowered vehicle down there as it will most likely get stuck. . .5. Never saw the owner once just had one text before we set off and another when we where due to depart telling us how much the electricity cost and to leave the cash on the table6. The front door would not lock from the outside. but it would from the inside when we were there anyway so we had to take all out valuables with us during the day time.7. Although the hot tub was nice only 2 of the jets actually worked and the settings could not be adjusted. 8. The toilet in the en-suite would bang constantly against the wall anytime you were sat on it.9. When you flush the loos they made an awful noise making going in the night discretely was not an option and everyone had to be woken up by it.10. 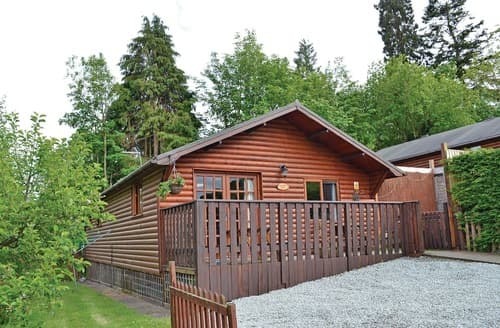 The lodge sleeps 6 we don't need 16+ cups and no cupboard space for our own non refrigerated food other than a breadbin.the overall price we paid was reasonable for the facilities and space but it was out of season and would not have been happy paying the in season prices." "Tom and Heather Hughes were brilliant hosts and both welcomed us on arrival. They gave us loads of ideas for places to go and things to do; Heather actually gave us one of her home made cakes to take on a picnic. The house itself was immaculate; everything you could want really. The conversion from farm building to holiday cottage has been carefully and tastefully done with great attention to detail. Kitchen was well equipped, bright and airy. The lounge was very comfortable with a double recliner settee which I loved. French doors opened onto a beautiful outdoor area with magnificent views down and across the valley. Beds were extremely comfortable and the bathroom was quite something with its freestanding bath and simple, tasteful decor. The en suite was more than adequate with an excellent shower cubicle. Tom and Heather are truly lovely people, more like friends really but never intrusive and always helpful. 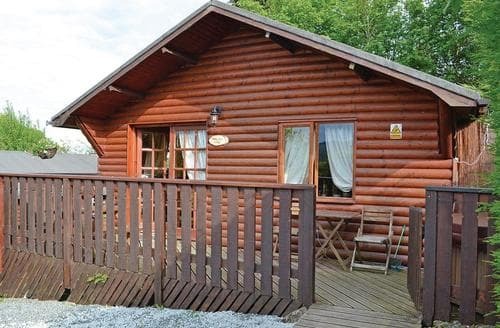 I would recommend this house to any family wanting a very clean, comfortable almost luxurious place to stay and also a great base to tour north Wales." "Pen-y-maes stands at the end of a short lane, snuggled cosily in the surrounding countryside, with just the sound of bird-song in the air. Susan, the owner, was extremely warm and welcoming, and the beautifully laid tray of goodies she left for us in the kitchen were top-notch. (Especially the bottle of wine!) The still-warm lemon drizzle cake which Susan delivered to us in the middle of the week was another delicious treat: It has become something of a tradition now for Susan to make one, I believe! And it was scrummy! The cottage is spotlessly clean, and the quality of the amenities are superb. The hot tub was immaculate: Susan cares for it each morning! The garden is a delight, even in Autumn, and we were happy to be allowed to help ourselves to the windfalls from the apple tree! The area is stunningly attractive, with so many places to visit - for both adults and children - that there is no time to be bored. This is absolutely the best holiday cottage we have ever stayed in. We highly recommend Pen-y-maes. Check in and find out for yourselves!" "Our best holiday cottage mini break. Everything was fantastic, a very warm welcome from the owners (who live in the farmhouse on site). They very kindly provided us with lots of very thoughtful goodies - a lovely touch to start our holiday. 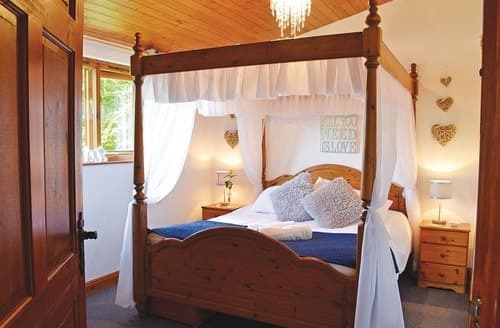 The property is a fabulous cottage that is brimming with quality fittings and furnishings. 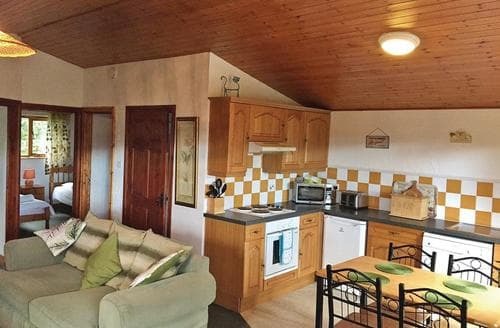 Everything about the cottage is great - the stunning views - the beds & bedding - beautiful bathrooms - the outdoor space - the fact you can park at the door - the comfort of the lounge & fully equipped kitchen. The cottage is situated near Chirk village which has the fantastic castle bistro, well worth a visit. A few miles further on is Llangollen,There is lots to see and do in the area - canal boat trips, lots of walks, steam trains, the truly amazing aqueduct & the beautiful horseshoe falls. We went to Lake Bala then on to the white water rafting centre, Its a lovely walk up to the dam while watching the rafts and canoes hurtle down the river. 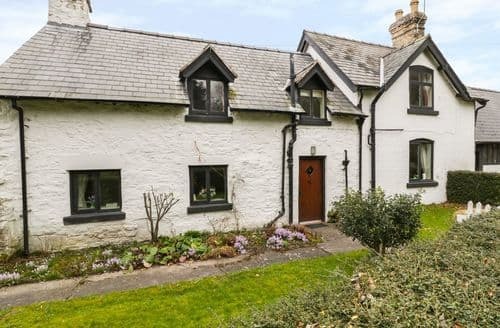 We would recommend this cottage without hesitation. Perfect!!"